Allbirds founders Tim Brown, left, and Joey Zwillinger, right. The Tree Skipper has an upper made from eucalyptus fibre. Tree Runner in Kauri Stone, pictured in-text in Kauri Navy. The Wool Lounger in grey, pictured in-text in Tuke Midnight. In a media landscape rife with falsehoods, anything with a whiff of hyperbole should be approached with skepticism—but I dare you to find functional footwear that coddles your soles as much as “the world’s most comfortable shoe.” That’s what Time magazine called the wool sneakers made by Allbirds, a New Zealand–born, San Francisco–based brand that has been luring shoe lovers everywhere, including here in Canada, where it launched in March. The company often heralds Time’s quote, and that they should as they steadily build into a multi-million-dollar outfit with fans such as Oprah Winfrey, Google co-founder Larry Page, and Starbucks tycoon Howard Schultz (he’s also an investor in Allbirds). Though the company was born just two years ago, it has already surpassed sales of one million pairs, making it clear that Allbirds founders Joey Zwillinger and Tim Brown are running their business like a marathon—and it all began with a Kickstarter campaign starring a flock of sheep. Allbirds’ made–in–New Zealand origin story started with Brown, who was previously the vice-captain of New Zealand’s national football (soccer) team, where he had first-hand experience with functional sportswear—and garish company logos. After stepping away from the sporting life, Brown started working on a new project; he received a grant from his country’s wool industry, developed a prototype wool shoe, and put it up on Kickstarter along with a video of him chasing said sheep. The campaign was successful, and Brown decided to turn the project into a meaningful career path. Enter San Francisco native Joey Zwillinger, a biotech engineer with a background in renewables and sustainability (and one of Brown’s first Kickstarter customers). Zwillinger invited the ex-footballer to his Marin County, California, home to talk about next steps. “Tim came out for dinner—I cooked him a lamb stew,” says Zwillinger. “And we really coalesced around the idea that my background could lend itself to a much bigger idea.” Thus, the concept was formed, with a firm ethos of sustainable comfort. As for its name, New Zealand is geographically isolated and was one of the last places on Earth to be inhabited by human beings. “When the Maoris landed there,” says Zwillinger, “it was all birds. 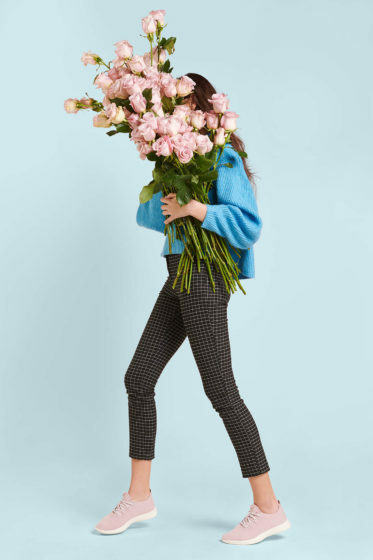 So ‘Allbirds’ references going back to our heritage.” This idea hit close to home for Zwillinger, who wanted to take the woollen shoe concept further, especially as shoes are one of the worst consumer industries in terms of environmental responsibility. 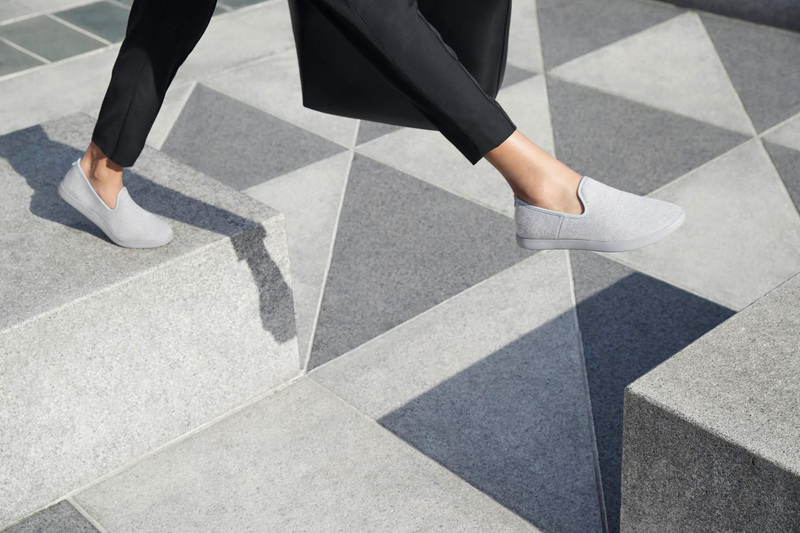 Allbirds’ debut, called the Wool Runner, uses supersoft ZQ-certified merino wool that is shipped from New Zealand to just outside Milan. There, the superfine wool—each fibre diameter measuring one-fifth the width of a human hair—is turned into a biodegradable textile used for the shoe’s upper. And if you’re thinking about sweaty feet, stay calm: wool fibres are naturally ventilated. “If you look under a microscope,” says Zwillinger, “it looks like there are canyons on the fibre. 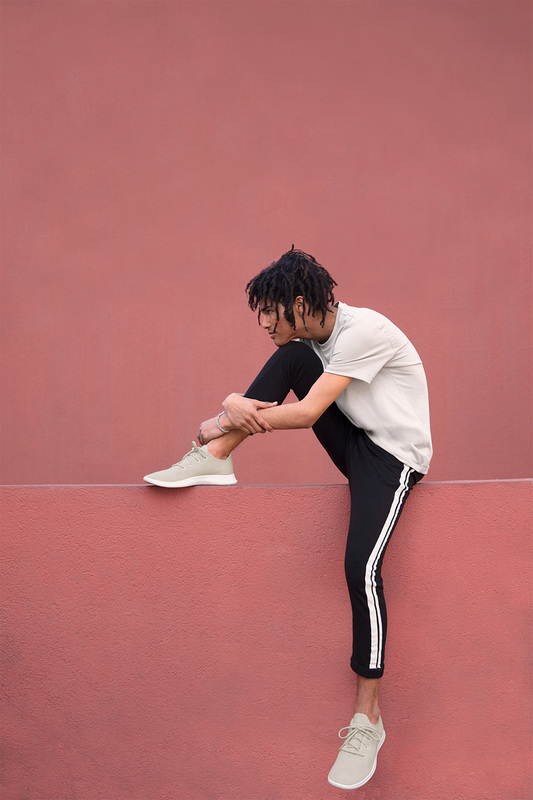 The cool thing about those is that they create air pockets that insulate your skin from the material and regulate your body temperature by wicking away moisture vapour when it gets hot.” The soles are made from a blend of EVA foam mixed with rubber; the insoles are crafted from a plant oil–based foam from sustainably grown castor beans; the laces are made from recycled plastic bottles; and the shoes are shipped in narrow boxes to minimize waste. (The final shoes are assembled in South Korea.) Footwear can take about 30 to 40 years to decompose in a landfill, so Allbirds has partnered with Soles4Souls to redistribute lightly used runners to communities around the world. 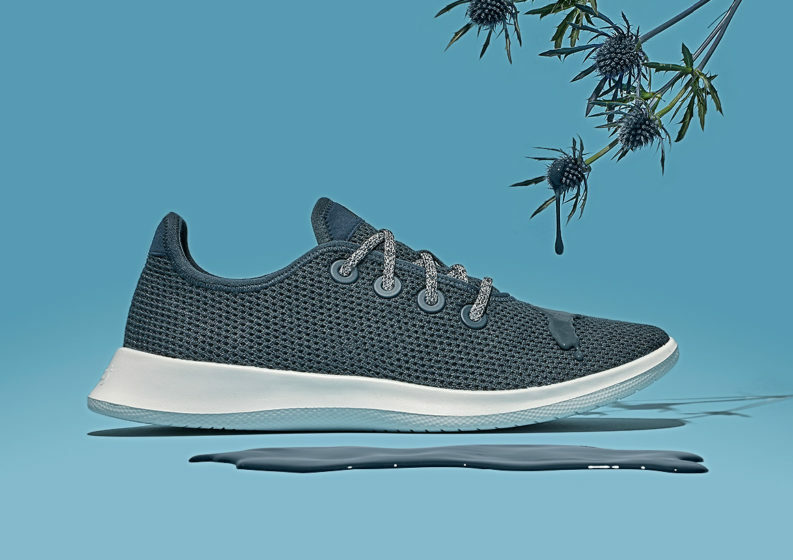 This March, Allbirds released a new line of shoes called Tree that is cool to the touch and crafted from eucalyptus fibre. The process, in short, consists of turning eucalyptus pulp into a fibre, then a yarn, then a mesh knit textile. The padded insole is still made from merino wool for that signature soft step, but the upper is lighter and breezier. The final design took dozens of prototypes to perfect, and the Forest Stewardship Council was brought in to ensure the supply chain was both sustainable and traceable, from the forest harvest in South Africa to the final product. In the process, Allbirds created the very first FSC-certified upper for a shoe.